During the mid-20th century, home furnishings and décor became largely standardized, with many homeowners purchasing items which had been mass-produced and sold to thousands of customers across the United States. This was largely in answer to affordability, as handmade sofas, chairs and lamps would dip too far into the pocketbooks of those who needed to fill bigger homes and accommodate larger families. In the past decade, however, a handmade renaissance has begun taking shape, with many millennials and older generations preferring to own unique pieces over unoriginal home décor. As part of this renaissance, Oriental rugs have seen a noticeable increase in sales among persons born in the past few decades, which only goes to show how these rugs are no longer exclusive to their grandparents’ generation. What seems to be drawing so many younger singles and couples to rug shops around the world? Our experience at Ahdoot Oriental Rugs has revealed to us two reasons for the revival: namely, a rug’s story and its distinctive artistry. So let’s take a look at both of these motivations a little bit deeper. Today we live in a global society that thrives on learning about worldwide cultures and the stories of the individuals which are part of these cultures. 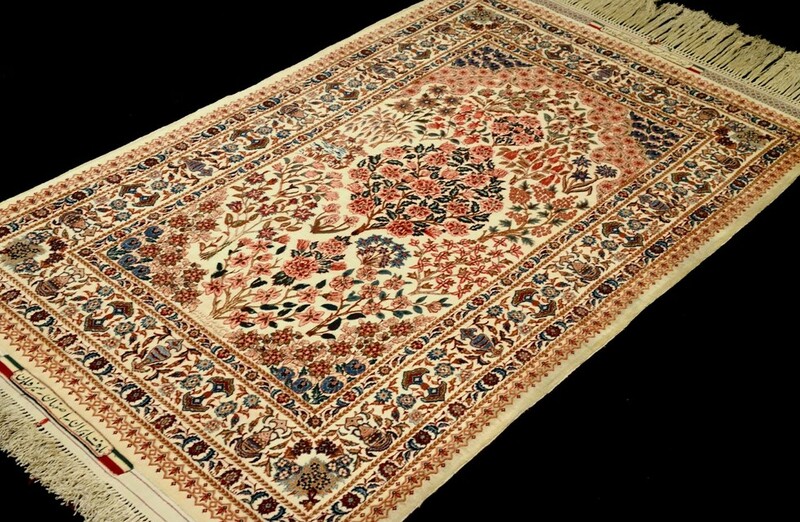 When it comes to the handmade arts, few tell as remarkable a story as the Oriental rug, which comes from the hands of artists or families who spend anywhere from a few months to possibly years constructing this masterpiece. More than this, however, the rug itself often tells a story in its design. These stories can include tales of a family history, the culture where it comes from, or even exhibit things found in nature around the sites where the rugs originated. And when it comes to a rug’s value, these stories are sometimes more sought after during a search than its worth as an investment. Affection for the floral patterns and bright colors of yesteryear has waned recently, giving way to a passion for geometric and tribal designs in more earthy, muted tones. In response to this change of styles, many weavers around the world have begun creating carpets designed for both modern and traditional homes as well as offices. Their love for the art is shown in their handiwork – and the materials which are painstakingly cultivated for its assembly. Older carpets, too, have become well-loved among younger generations for the vintage appearance they offer, and for their high investment value. As more 20-, 30- and 40-somethings begin decorating their homes, they not only want a unique conversation piece to include in their interior design, they also want something beautiful and of the highest quality, which antique Oriental rugs most certainly present. Have you been thinking of purchasing an Oriental, Persian or Turkish rug? Come to our showroom or visit our rug shop to view extraordinary carpets from around the world. Ahdoot offers every service available to new rug collectors and enthusiasts, including cleaning, repair and appraisal on any carpet you purchase or already own. Visit us today!